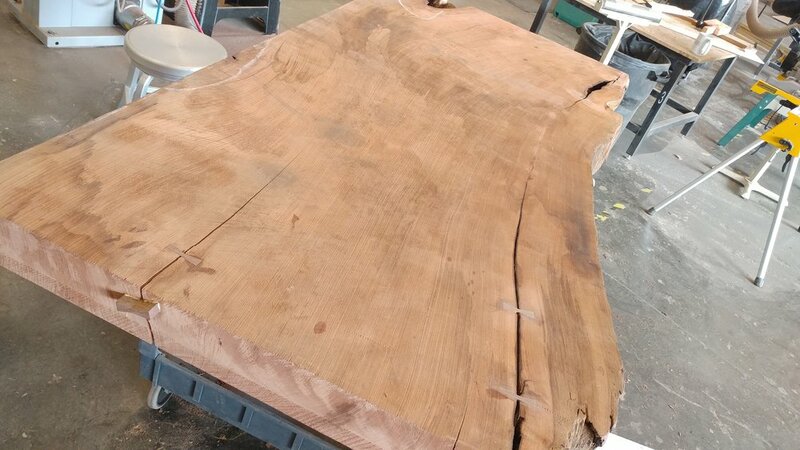 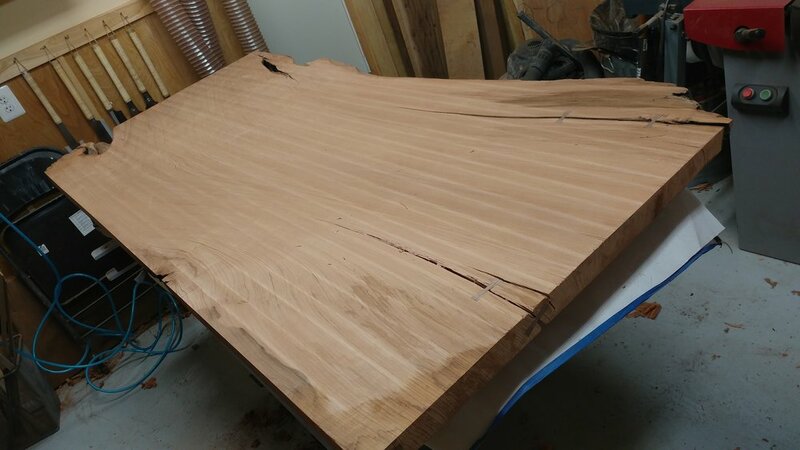 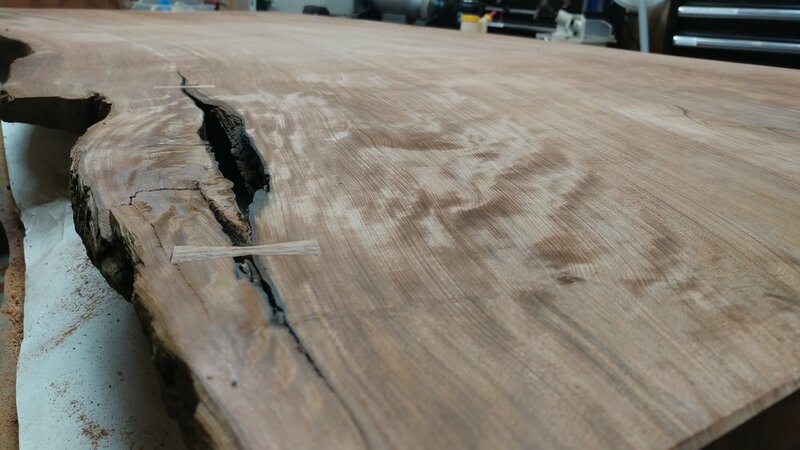 Inspired by two massive slabs of Redwood acquired on a journey in California, this dining table is really a pedestal for the amazing surface. 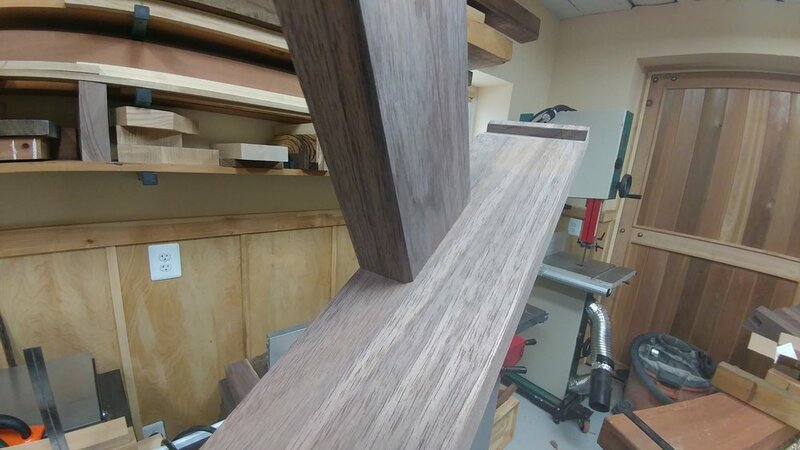 The base is realized in Walnut with a unique keyed miter joint to attach the legs. 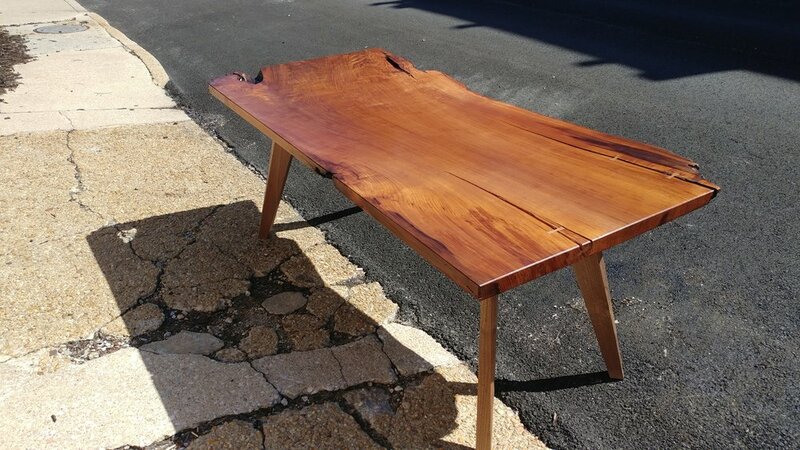 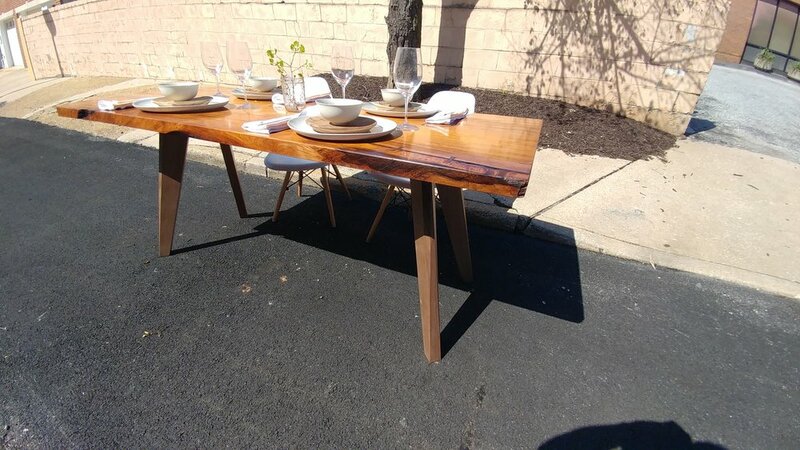 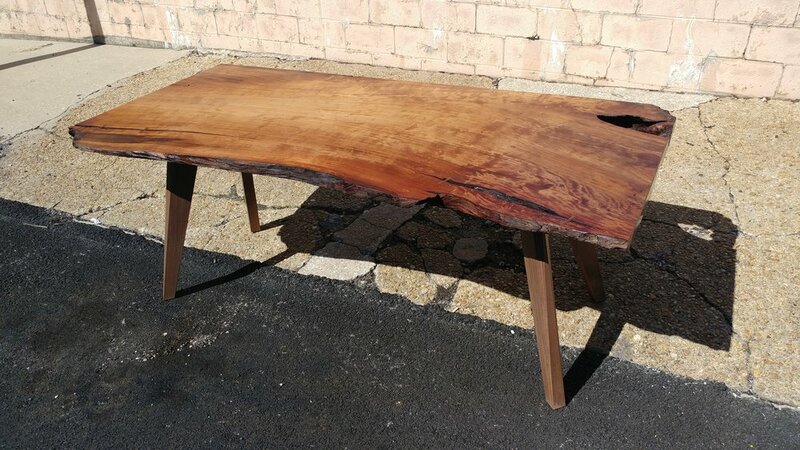 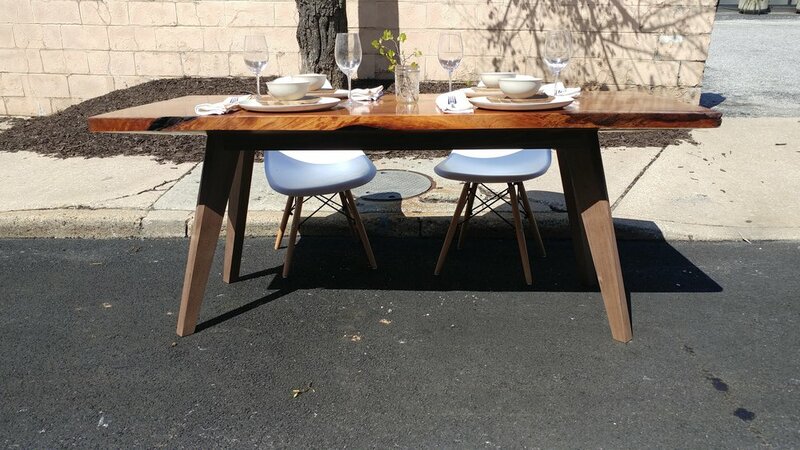 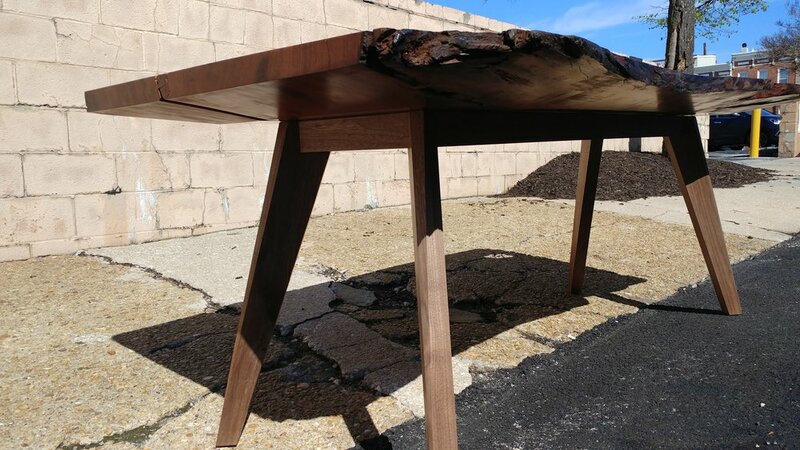 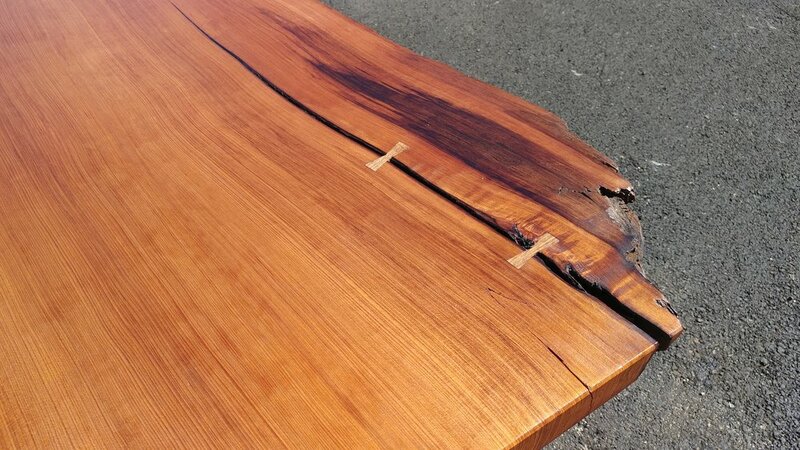 The commissioned table features a live edge along one side, while the secondary table is rectangular. 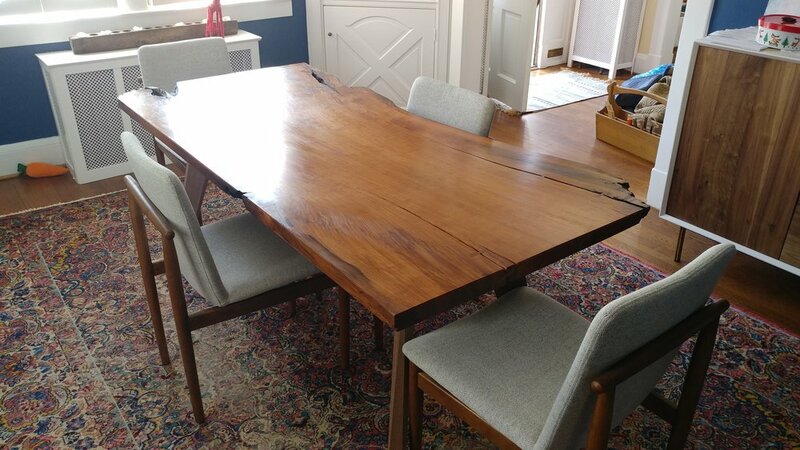 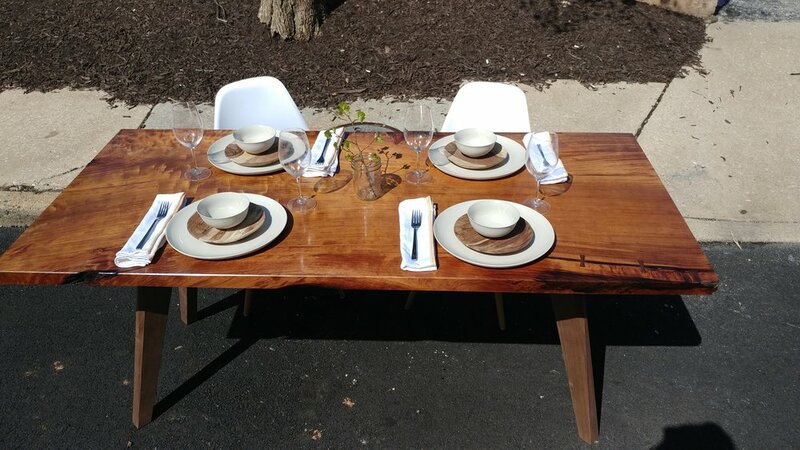 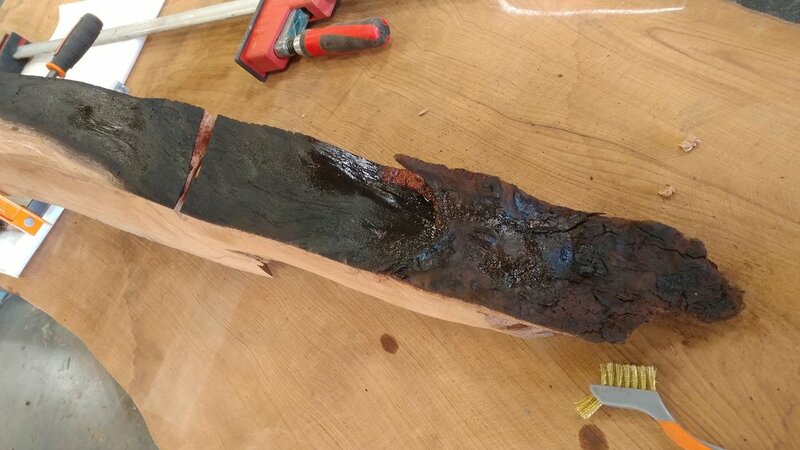 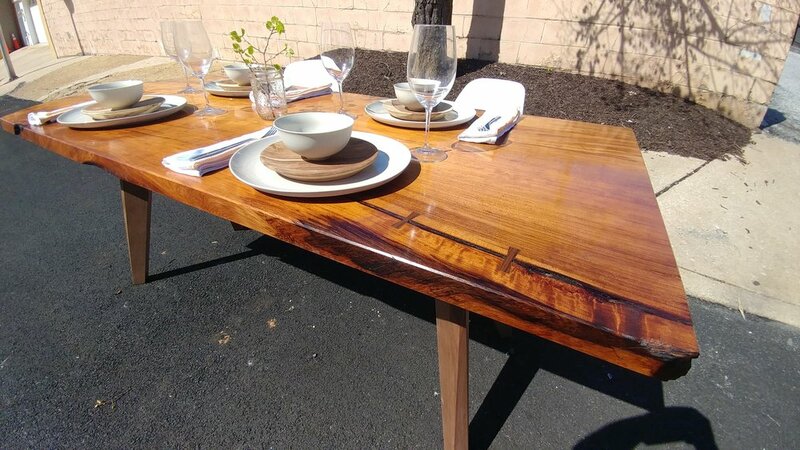 The comissioned table features a live edge. 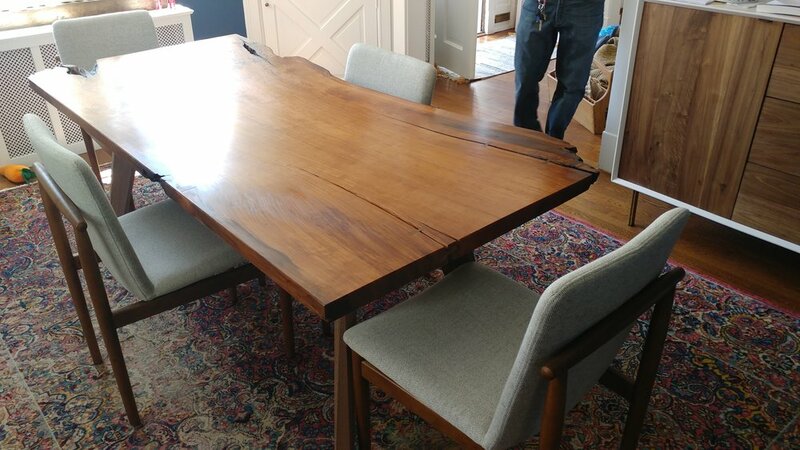 The sister table is mostly a rectangle. 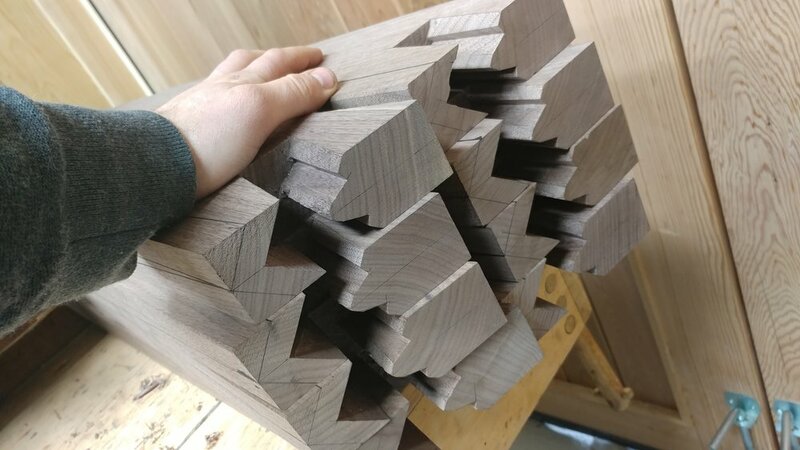 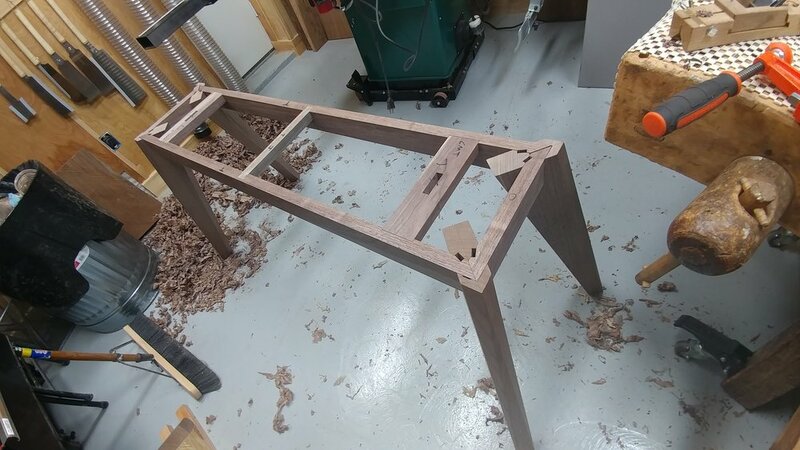 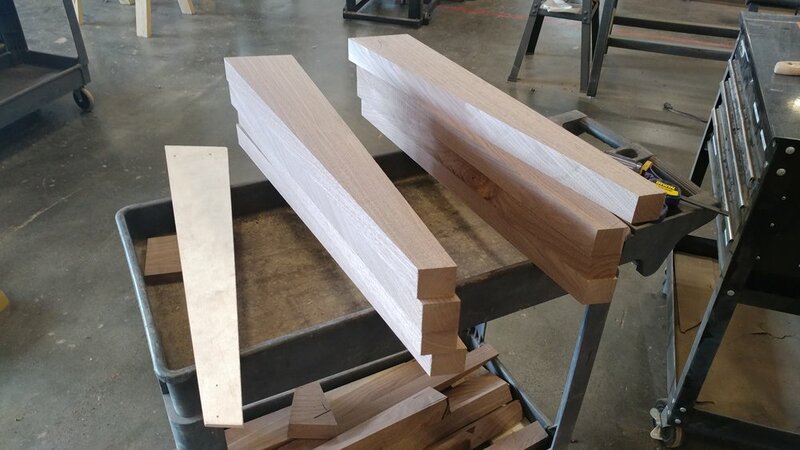 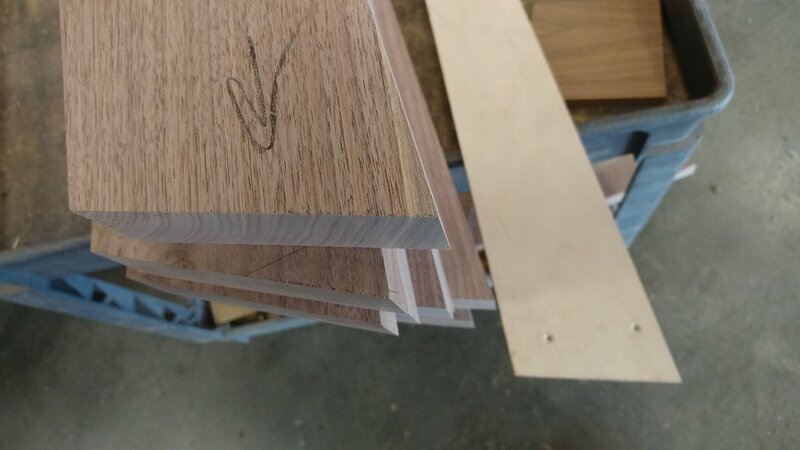 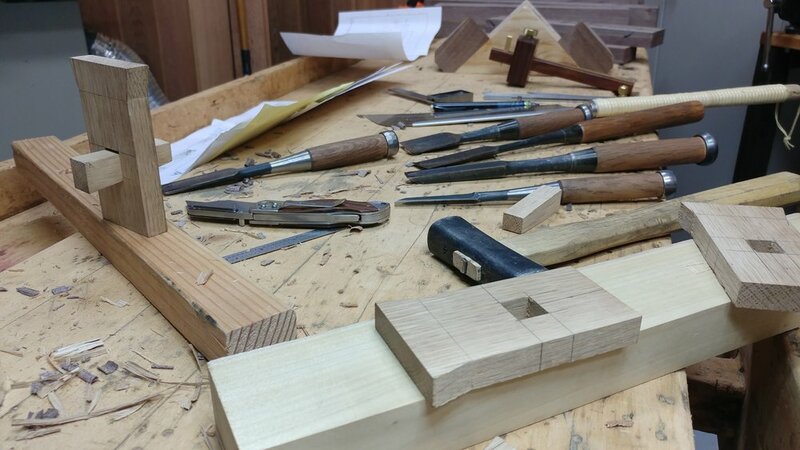 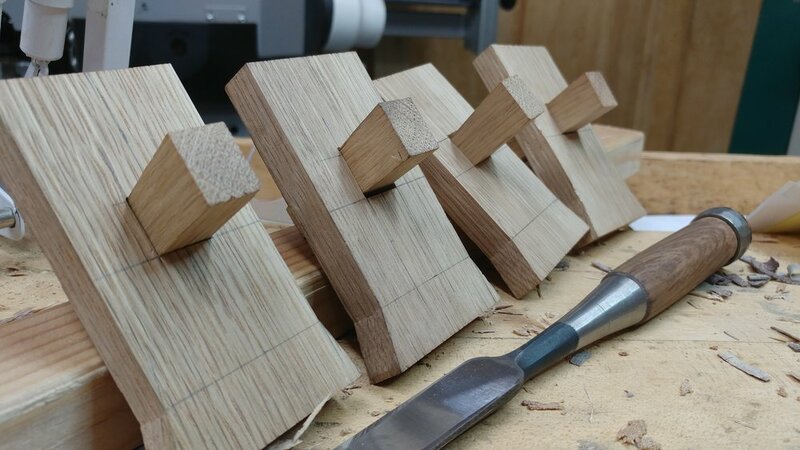 The lower apron and legs are assembled using a unique "keyed miter" joint that forces the apron components into the tapered walnut legs. 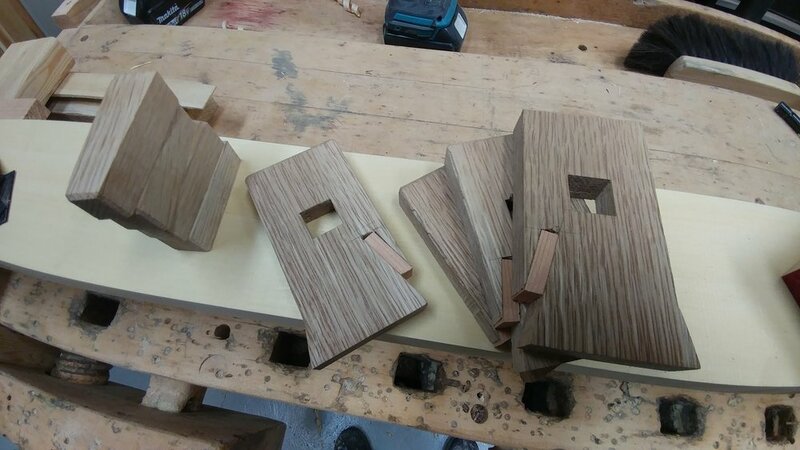 The whole base is assembled without any glue or fasteners. 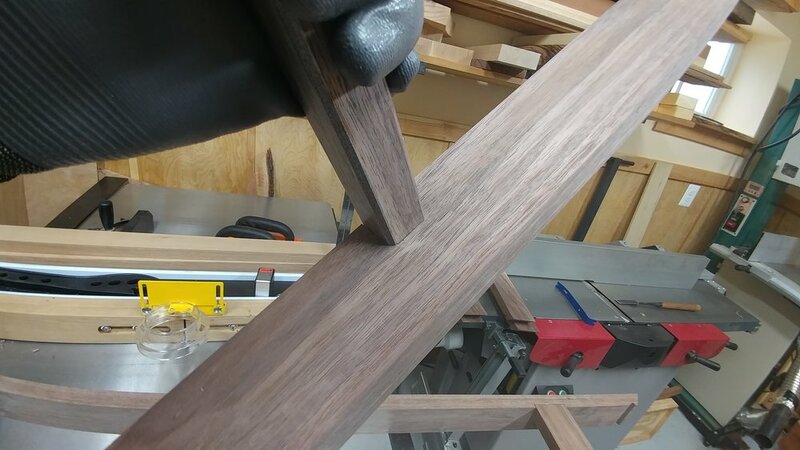 The finish is a light wax over hand planing. 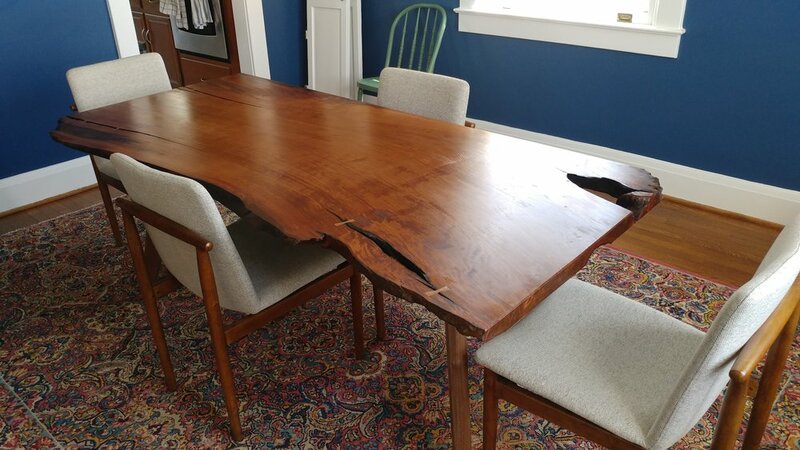 Two White Oak scabs run the width of the underside of the table. 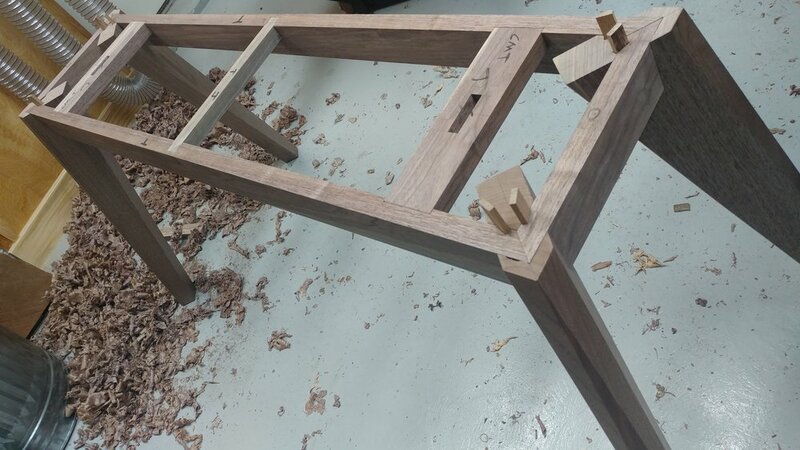 Into these are attached a floating tenon allowing the table base to be wedged to the bottom of the table. 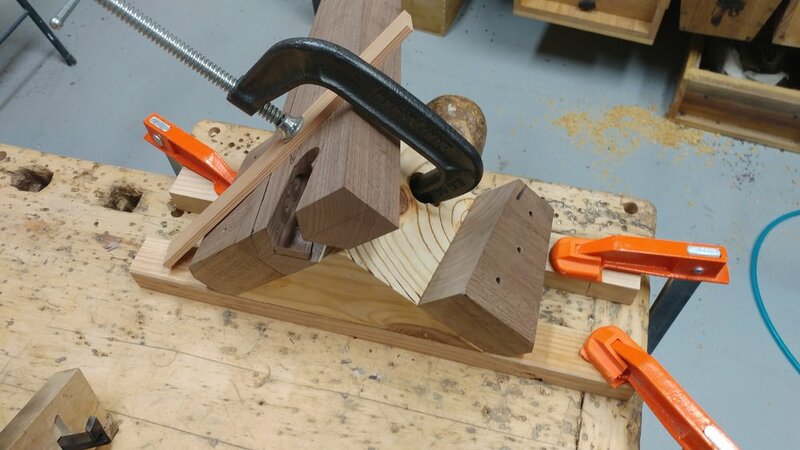 This also allows for future disassembly for moving.